Dr. Jane Siegel has a book about children of women in prison on the way. It is Disrupted Childhoods: Children of Women in Prison with Rutgers University Press. Millions of children in the United States have a parent who is incarcerated and a growing number of these nurturers are mothers. Disrupted Childhoods explores the issues that arise from a mother’s confinement and provides first-person accounts of the experiences of children with moms behind bars. Jane A. Siegel offers a perspective that recognizes differences over the long course of a family’s interaction with the criminal justice system. Presenting an unparalleled view into the children’s lives both before and after their mothers are imprisoned, this book reveals the many challenges they face from the moment such a critical caregiver is arrested to the time she returns home from prison. Based on interviews with nearly seventy youngsters and their mothers conducted at different points of their parent’s involvement in the process, the rich qualitative data of Disrupted Childhoods vividly reveals the lived experiences of prisoners’ children, telling their stories in their own words. Siegel places the mother’s incarceration in context with other aspects of the youths’ experiences, including their family life and social worlds, and provides a unique opportunity to hear the voices of a group that has been largely silent until now. Dr. Drew Humphries’ research on women, violence, and the media was presented at the American Society of Criminology in November 2010 and a portion of it will be included in an article on women and crime to be published in Rutgers Alumni Magazine. Dr. Gail Caputo presented two papers at the annual meeting of the Academy of Criminal Justice Sciences. Shoplifting work: A Feminine perspective details how how women shoplifters talk about the crime in gender terms and Creative Financial Enterprises in a Deviant Urban Economy describes how women drug users are versatile and adaptive in the variety of deviant criminal ways they earn money. 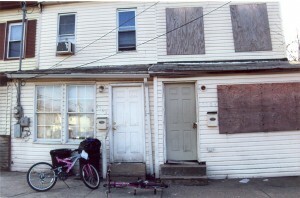 Nine students are researching the experiences of residents living near an abandoned house (“abando”) in the Cramer Hill neighborhood of Camden, to gain a better sense of the costs that result from not doing anything about the abandoned house and to help Camden Churches Organized for People raise awareness in their advocacy work around this issue. Students have done a block survey, drawn a map and taken photos; gone to the Camden County Historical Society to look for the archival and historical information about their particular houses; requested police, public works, and fire department records about their houses; and conducted ethnographic interviews with neighbors. 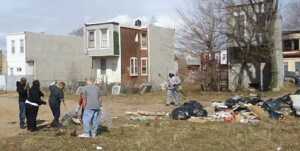 They have become more familiar with the city and are impressed with the persistence and hard work of Camden residents. They wish that they were fluent in Spanish so that they could talk to all the residents of their blocks. There is a continuum of abandonment, from houses recently abandoned which look like they could be moved into, to houses which are a pile of rubble from a fire long ago or abandoned seventeen years ago. Some blocks are very connected to one another, in which people know one another well and take care of one another; others are more anonymous or even have conflicts between neighbors. 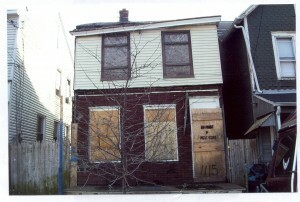 Residents’ strong emotions about a nearby abandoned house are often connected to other kinds of injustice that they feel, such as anger at the city government which they feel ignores them and mis-uses the little money it has. Kudos to the undergraduate and graduate students in Professor Dan Howard’s Public Safety in North Camden course, whose hard work this year has helped forge stronger ties with the community and led to improvements in the neighborhoods of North Camden. Students in this unique course, which was supported by the Chancellor’s Office of Civic Engagement, worked together with the community through the District Council Collaborative Board for North Camden and Angel Osorio of the Camden County Prosecutor’s Office to identify and address issues in North Camden neighborhoods that can affect the quality of life and potentially contribute to fear of crime. After doing research on quality-of-life issues that affect neighborhood safety, the students identified projects to implement that targeted a lack of street lighting as well as conditions in alleyways and graffiti removal. 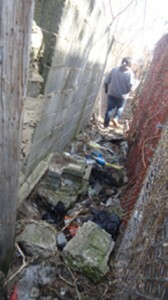 Assisted by both the Camden Police Department, the RUPD and several community residents, they’ve made considerable progress, getting long darkened street lights relit, painting over graffiti covered walls and removing – literally – tons of trash from alleyways. This unique class received some favorable media attention earlier this year. In February, it was featured in an article in the Philadelphia Inquire, which in turn apparently inspired at least one blogger, who applauded Rutgers for this partnership with the community. On April 2, 9 and 16, Professor Howard and the students will be out in the community painting over graffiti, helping residents install porch lights on their houses to help light up the neighborhood, and cleaning up the streets. They’ll be working with community members, who will also be planting trees and cleaning up North Gate Park, and would love to have some help from students. If you’d like to join in, contact the department. Click here for the full schedule of summer courses. This summer, the department is offering 15 courses, including some required courses, such as Methods and Techniques of Social Research; Cultural Anthropology; Introduction to Sociology; Race and Ethnicity; Poor, Minorities and Justice; and Police and Policing. A graduate course, Criminology, is also offered. This is a great way to complete some requirements if you’re not sure how you’ll fit them into your schedule during the regular academic year. We’re also offering several interesting elective courses, including one that’s back in our line-up after an absence of several years. Dance of the African Diaspora (070:344) combines a traditional lecture and discussion format with hands-on training in various forms of African-American dance. Professor Hazzard-Donald teaches this unique course, bringing to it her training as both a sociologist and a dancer. Students interested in getting some practical experience and connecting with criminal justice professionals can also register for an internship in criminal justice over the summer (202:404). Registration for fall courses begins April 3. Click here for the complete schedule of courses. For more written guidance about course selections, please see theSociology Advising Page and Criminal Justice Advising Page. The department recommends that students see their faculty advisor before registering for courses. Check the list of advising assignments. If your name is not listed, contact Sherry Pisacano in the departmental office (405-7 Cooper street; 856 225-6470). Dr. Drew Humphries popular course on Drugs and Society will again expose students to drug dealing at the street level and from there the question of how illicit drugs got into the world. It concludes with a foray into drug policy and finishes up with treatment, which requires student to attend an AA or NA meeting. Each year, the department confers the George Masterton Award (named for the department’s first chair) on graduating seniors for outstanding academic achievement, significant contributions to the department and campus, and for intellectual promise. Congratulations to this year’s Masterton recipients. 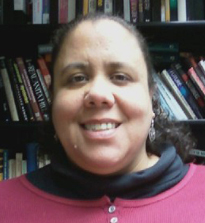 Tamiko Cornish will receive the 2011 Masterton in Sociology while Dustin Dariano and Phil Leone are recipients of the 2011 Masterton Award in Criminal Justice. The awards will be presented at the Honors Convocation in May. Dustin Dariano is a criminal justice major who also completed a minor in sociology after transferring here from Camden County College. He has been very active in his two years at Rutgers-Camden, including serving as the GAO Representative for the Rutgers- Camden Criminal Justice Organization. In that capacity, he chaired one of the largest student run events, called “Get-Wiff-It” and Strike out Cyber Bullying-The Tyler Clementi Charity Wiffle Ball tournament (see below). Dustin has also participated in two different experiential learning opportunities, first by interning as an investigator for the Camden County Public Defenders Office during summer 2010 and then by participating in the two-semester Public Safety in North Camden course, which he took as a graduate course as part of the Dual Degree program. 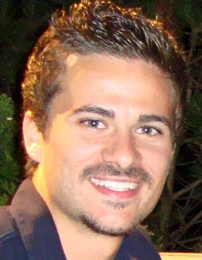 Dustin also served as a teaching assistant for Professor Siegel last semester. This semester, he was the recipient of the Earl J. Evans Memorial Scholarship Spring 2011. Following graduation, Dustin plans to enroll in graduate school for a masters degree in criminal justice and public administration. Phillip Leone is a criminal justice major who completed his degree at our first off-campus program in Mays Landing after receiving his associates degree from Atlantic Cape Community College. During his undergraduate studies at Rutgers, Phil consistently earned a position on the Dean’s List, an especially notable achievement because he was also employed full-time as a sales representative for a local firm. He is currently employed as a security officer. During his final semester, Phil served as a teaching assistant for Professor King. Phil also had the opportunity to work in conjunction with local police and has applied some of the skills acquired from his classes in real-life situations. He has also volunteered his time with such organizations as the Food Bank of New Jersey, his local church, and also found the time to lifeguard at the shore during the summer. Family is a very important part of Phil’s life and he contributes his time to support his family members. During whatever free time he has, Phil enjoys playing guitar, working out at the gym and working on his current project: restoring his truck. Phil’s plan for the future is to continue his education with Rutgers and ultimately to work for the U.S. Secret Service. Tamiko Cornish has completed her degree in Sociology and is currently assisting the New Jersey Department of Human Services. She has been accepted to the Rutgers School of Social Work’s Masters degree program beginning in the fall. In her spare time, Tamiko is educating herself in sustainable living and learning to play the mandolin. The Masters program in Criminal Justice held its second annual event for the Urban Research Speaker Series, intended to bring graduate students, advanced undergraduate students, faculty, and researchers together in a collegial forum to discuss ideas and issues relevant to conducting criminal justice and related urban research in Camden. It is designed to make connections among researchers and to engage our students in urban research. The spring event in the series featured Dr. Johnna Christian, Assistant Professor at the School of Criminal Justice at Rutgers – Newark. Her talk is titled “Secondary Narratives in the Aftermath of Crime: Family Members’ Relationships with Prisoners and the Implications for Prisoner Reentry”. The research applies the storyline framework of the criminal event to the secondary narrative of prisoners’ relationships with family members before and during incarceration, and their plans for life upon release from prison. Analyzing 29 in-depth interviews from thirteen inmate/family dyads and one inmate/family triad, she examines multiple views of the impact of incarceration and its consequences for the incarcerated individual, the family member, and their connections to each other. Dr Christian’s work demonstrates that these relationships follow three distinct yet intersecting secondary narratives —disrupted, transforming, and precarious—characterized by different qualities of pre-incarceration relationships, impacts on family members’ lives and plans for the future. Defining the characteristics of these narratives is important because each narrative has specific implications for the family member’s willingness and capacity to support the offender both during the incarceration period and upon release from prison. Thanks to Dr. Humphries and Dr. Siegel for arranging this exciting event. Congratulations to our May Master of Arts recipients William J. Baskay, Gina S. Blevins, Ann F. Martinez, John McKinley-Campbell, Danielle Peterson, Veronica Lynn Sills, and Michael M. Verderame. Support the CJO’s Anti-Cyber Bullying Initiative! On Sunday, April 17, the Criminal Justice Organization is sponsoring The Tyler Clementi Charity Wiffle Ball Tournament, with proceeds to benefit anti-cyber bullying initiatives at Rutgers. Organize a team of 3-5 players to get in on the competition or just come out and join the Clementi family in cheering on the teams. The event starts in the morning at Rutgers-Camden Community Park and will run all day, ending with a social hour at Victor’s Pub starting at 6:00. The championship game will be played under the lights at Campbell’s Field! There’ll be lots of other festivities, including a home run derby, dunk tank and deejay, so come join in and support a good cause as well as the students who have worked so hard to organize this event. Teams can register at the Impact Booth in the Campus Center. For more information, contact Dustin Dariano & Joshua Bauers at: dariano@camden.rutgers.edu or visit the Glory Days Sports website: www.glorydayssports.net and click the charity tab! Rain date: Saturday, April 23. Annual Undergraduate Research Poster Session. The poster session is on April 27th. All students in criminal justice, sociology and anthropology are invited to attend and participate in this annual event. For further details, including how to register if you plan to make a presentation, click here. Commencement. 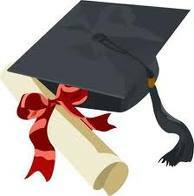 The university has complete information about graduation for graduating students. Rutgers–Camden will hold its commencement ceremony for Arts and Sciences at the Susquehanna Bank Center, located in the heart of the exciting Camden Waterfront, on May 19 at 6pm. Regional Forum. On June 23, the department, together with the Center for Children and Childhood Studies and the Law School, will be co-sponsoring a regional forum on children and families of the incarcerated entitled Giving Voice to the Silent: Children and Families of the Incarcerated.” The goal of the forum is to develop a series of recommendations that will guide and initiate a framework for future services, policy and research. Panels will include experts and practitioners who work or do research about this issue and will feature individuals who have themselves experienced the incarceration of a family member. On the evening of the conference, Professor Siegel will be signing copies of her forthcoming book, Disrupted Childhoods: Children of Women in Prison. Students are welcome to attend the forum and evening events. Anyone wishing to volunteer to help with the conference should contact Professor Siegel. Created March 31, 2011 11:18. Contact Gail Caputo. This page was printed from http://sociology.camden.rutgers.edu/news/newsletter/spring-2011-newsletter/ at 10:39 PM Thursday, April 25, 2019.